Despite a weak overall sales month for the entire automobile industry, Honda and Acura are happy to announce a 1.1 percent increase in sales when compared to April 2013. 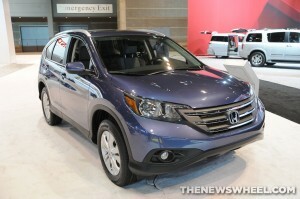 The Honda CR-V set a Honda sales record in month of April. Most notable for the month of April were sales for the Honda CR-V, which were up 7.4 percent and set a new April sales record for the crossover SUV. The ever-popular Civic and Accord also demonstrated strong gains for the month, increasing by 4.4 percent and 1.7 percent, respectively. 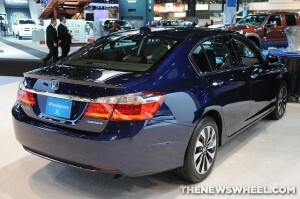 Honda’s management generously puts the weight of these Honda sales increases on dedicated Honda buyers and dealerships. “More than any other automaker our success is based on one customer at a time going down to their Honda dealer to purchase a new vehicle, and in April, we see the power of our retail sales strategy at work,” said Jeff Conrad, a spokesperson for Honda. Avery Greene Honda would like to echo Jeff’s statement! Let’s keep this Honda sales streak going! Visit our dealership today in Vallejo, California to take a test drive in a brand new Honda vehicle like the Civic, Accord, CR-V or Odyssey. We also offer a great inventory of used vehicles, plus a Service Department full of expert Honda technicians that will help keep your car in great shape for years to come. 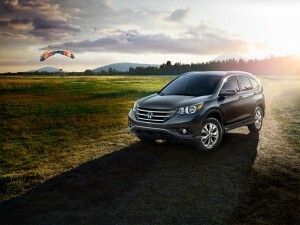 For more Avery Greene Honda news, stay tuned to our blog, check out our website or LIKE our dealership on Facebook! It’s almost time for the 2014 Sochi Winter Olympics, where athletes from around the world will come head to head, daring to challenge the records set by athletes before them. As they continue in their final weeks of preparation, Honda is announcing the company has broken records of its own for its sales in 2013. The Honda CR-V helped Honda break sales records in 2013. For the first time ever, the CR-V joined the Honda Accord and Civic in the gold-medal club of vehicles breaking the 300,000 units sold mark. On top of that, Honda’s Accord brought in the best December sales since 2008; and sales were up 5.7 percent for the Civic, making it the third best year of sales in the vehicle’s four-decade history. During 2013, Honda sold 1,359,876 vehicles, a 7.4 percent increase over the previous year and the second-best year Honda has ever had. We at Avery Greene Honda are ready to meet the challenge again in 2014. Let’s make it another sales record-breaking year. Save on a new Honda this 4th of July season with Avery Greene Honda! From now through July 8th, Avery Greene Honda is offering great deals on new and used Honda cars in Vallejo, CA. Stop by our dealership to take advantage of deals like 0% financing for 60 months on new 2013 Honda models, including the CR-V, Crosstour, Pilot, Civic Coupe and more. We’re also offering customers the choice of $1,000 off for any new Honda, $1,000 for any trade in or 0% financing on any new Honda car if they present this coupon to their salesperson at the time of purchase. Service specials are also available for Avery Greene Honda customers who may not be looking for a new car. For more information on Avery Greene Honda specials, visit our website or contact our sales department at (800) 707-4733. Avery Greene Honda wishes you a safe and happy 4th of July season! Remember, we offer the areas of Vallejo, San Francisco, Fairfield, Concord, Benicia, Napa and surrounding cities with a great selection of new and used Honda cars at great prices. We also maintain expert service and finance departments to help drivers stay safe and comfortable at an affordable price. For more information on Avery Greene Honda, as well as Honda news and updates, be sure to follow our dealership on Twitter!